This study aimed to determine the effect of paternal hepatitis B virus (HBV) infection on reproductive outcomes of couples undergoing frozen–thawed embryo transfer (FET). This retrospective cohort study included FET cycles performed between January 2014 and March 2017 in couples with a hepatitis B surface antigen (HBsAg)-positive male partner and an HBsAg-negative female partner, which was categorized as HBsAg group. The FET cycles underwent by couples with both HBsAg-negative partners were randomly selected as controls. The primary outcome was clinical pregnancy. A total of 117 FET cycles, comprising 39 in the HBsAg group and 78 in the control group, were included. 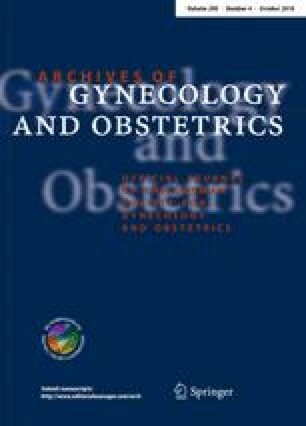 Couples with HBsAg-positive male partners had significantly lower clinical pregnancy rate (17.9 vs 41.0%, P = 0.013), lower implantation rate (11.1 vs 24.5%, P = 0.014), and lower live birth rate (12.8 vs 30.8%, P = 0.034) compared with the control group. Moreover, the multivariate logistic regression analysis showed that paternal HBV infection was negatively associated with clinical pregnancy (odds ratio = 0.297, 95% confidence interval 0.108–0.817, P = 0.019). The miscarriage rate was not significantly different between the two groups (28.6 vs 25.0%, P = 1.000). Paternal HBV infection resulted in a lower frequency of clinical pregnancy after FET, a difference that was probably attributed to a detrimental effect of HBV on the ability of embryos to survive freezing and thawing. FH: Project development, data analysis and manuscript writing. LSW: Data collection or management and data analysis. CYZ: Project development. SLL: Data collection or management. CGS: Data analysis. LNH: Project development and manuscript editing. This study was conducted after approval and according to the guidelines of the institutional review board of The Second Affiliated Hospital of Chongqing Medical University (Approval Number: 2018-2). Individual consent to participate in the study was not obtained since it was a medical records-based retrospective study.